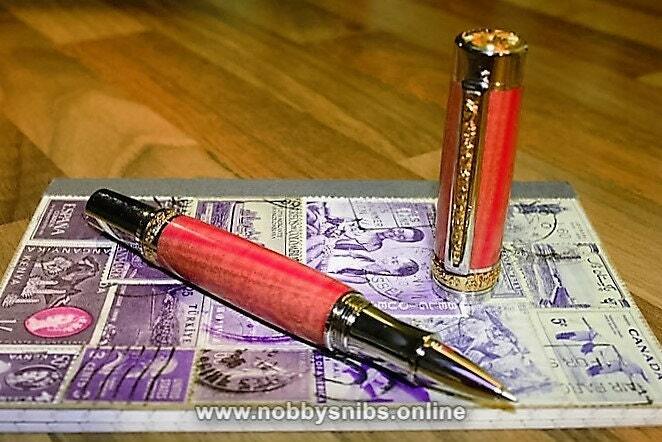 Handmade Pink Ivory Wooden Rollerball Pen. 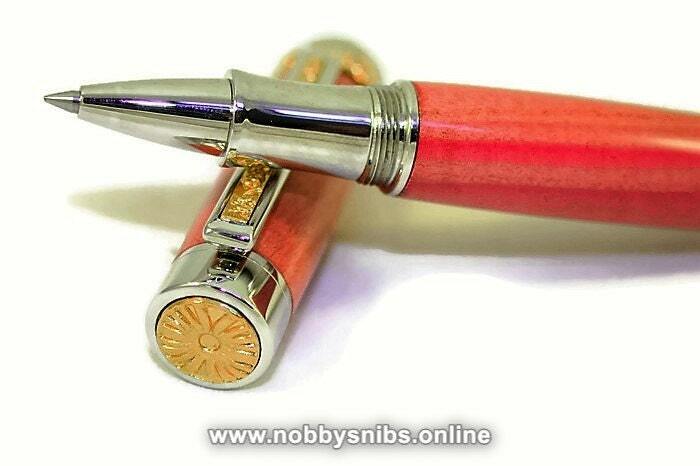 Handmade Pink "Ivory" Wooden Rollerball Pen. 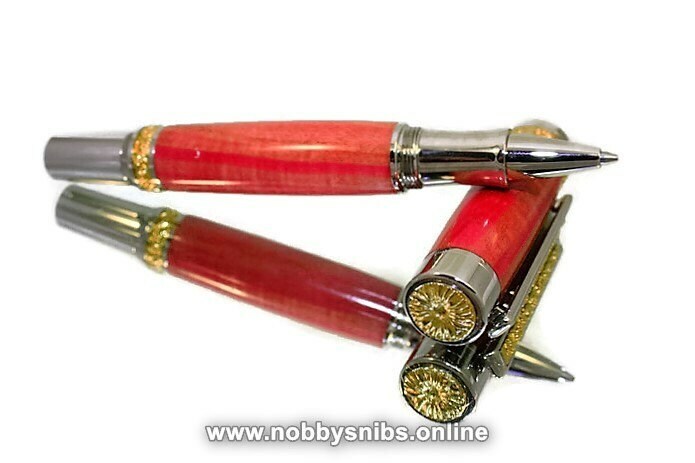 - Handmade pen in Pink "Ivory" wood with rhodium & gold titanium fittings. - This is a non-posted pen (i.e. 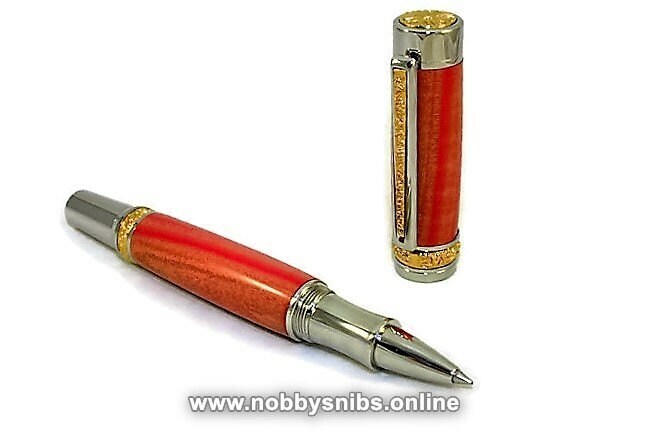 the cap is designed to be kept separate from the barrel of the pen whilst in use). 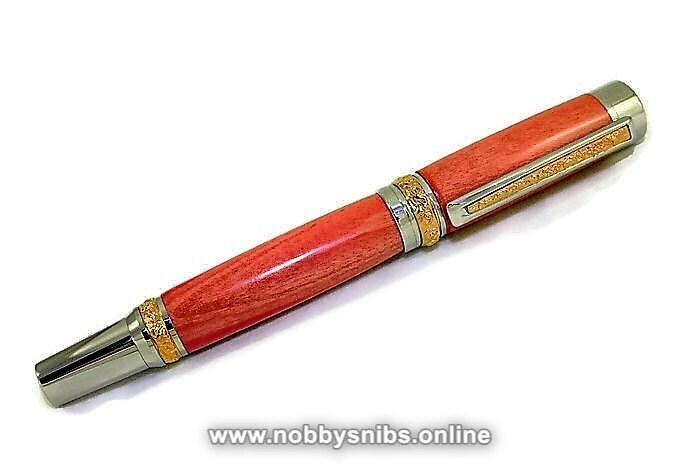 - This is a pen designed to be used and treasured for years to come. - A gift receipt - without the price - can be included upon request. Pink Ivory is not actually ivory, but a wood and the colour in the photo's is accurate and this is the natural colour of the wood - I don't use any dyes or colouring. Pink Ivory was once the Royal Tree of the Zulu Royal Family and it is said that, in days gone by, any non-royal possessing pieces of this wood would be subject to summary execution. Thankfully, that is no longer the case and you can safely buy this pen without fear for your life!